For those who read Vietnamese, below is a brief introduction of what this series is about. Click on it to read. Siu Lei Fei Do is a nickname that gong wu ( kung fu world ) has given to the protagonist Lei Chum Foon whose flying dagger never misses its target once it is thrown. "Unlike Jing Yong, where he gives great details on how the characters fight and sometimes as a bonus he'll throw in the origin of that specific move. Gu Long characters generally just finish the opponents in only ONE or at most TWO moves. When XLFD throws a dagger, you are gone. You can't block it. You can't avoid it. You are DEAD. When XLFD finished throwing the dagger, GuLong will usually say something like this: 'Who inthe world can receive XLFD's dagger??'. Period. No elaboration whatsoever." 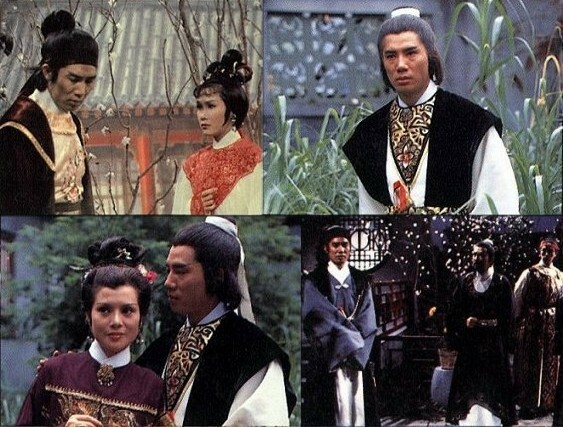 Unlike the recent film rendition, LCF is sentimental and seems drunken 27 /4 because of the heartache he had to endure from leaving his sweetheart Lam Chi Yum so his sworn brother Lung Siu Wun could have a chance to marry her. Lei Chum Foon left but returned after 10 years. To further much of his heartache, he eventually discovered that the sworn brother had been plotting against him to get him killed in order to prevent any chances of Chi Yum returning to the protagonist's arms. During his return trip, he befriended a great person called Ah Fei whose sword stances are fast like the wind, usually the oppponents dead. "When Ah Fei pull out his sword you are dead. And GuLong will generally finish it by saying: 'His sword is as fast as lighting. By the time he(Ah Fei's opponent) said the word 'blah ( just a word )' Ah Fei already cut through his throat'." However, Ah Fei fell desperately in love with Lee Sin Yee, a woman who manipulated his love for her but Ah Fei finally saw through her and renounced his feeling for her. Sin Yee also managed to convince some great martial artists into bed in order to manipulate them to do what she wants hence furthering the results of her devilish plans. 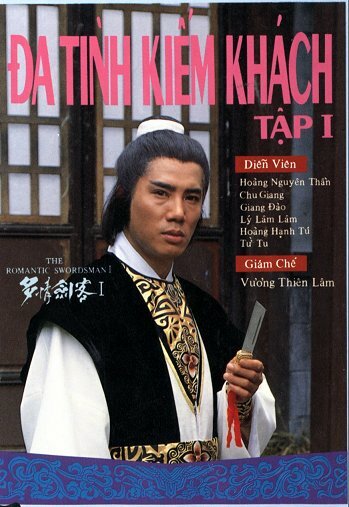 Lei Chum Foon is the most sentimental character I have ever come across in a TVB series and personally I've come to concluded that he is my only favorite wuxia character. Although the actor who portrayed Lei Chum Foon was not conventionally handsome, his acting certainly compensated for his lack of hunk-appeal.